Pictures on chocolate have always intrigued me, there are so many beautiful intricate designs, I love how they bring a simple dessert to life. I imagine you'd need a hand as steady as the people that paint on grains of rice to freestyle some of the geometric deigns. However, not all chocolate images are geometric or hand painted. I've discovered a great short cut in chocolate transfer paper. I made a cake for Foodie Laura's blogiversary and had a chance to try out some pretty butterfly chocolate transfer paper from Craft Company. My original order was misplaced but after contacting them to chase it up the products arrived the next day. The chocolate transfer paper isn't paper but a plastic sheet printed with cocoa butter designs, it comes rolled in bubble wrap to stop the design being scratched or rubbed off. This warm weather isn't really the time to be playing with chocolate, I used Wilton Candy Melts (not sure if that officially counts as chocolate) they don't need to be tempered and set really quickly too. 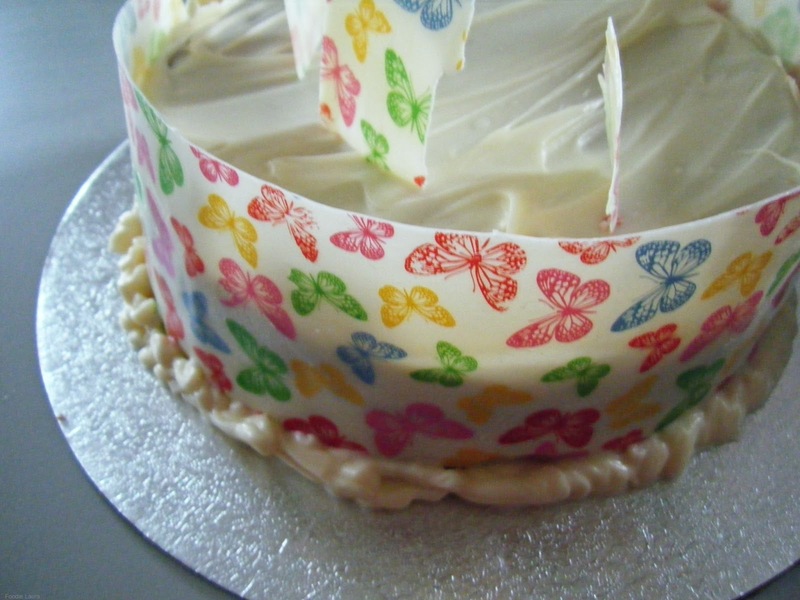 I chose white melts for this design because I thought that it would highlight the coloured butterflies the most. 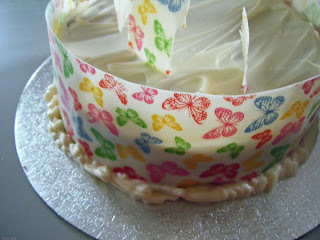 The taste isn't as creamy as I was expecting but it looks amazing behind the coloured butterflies. 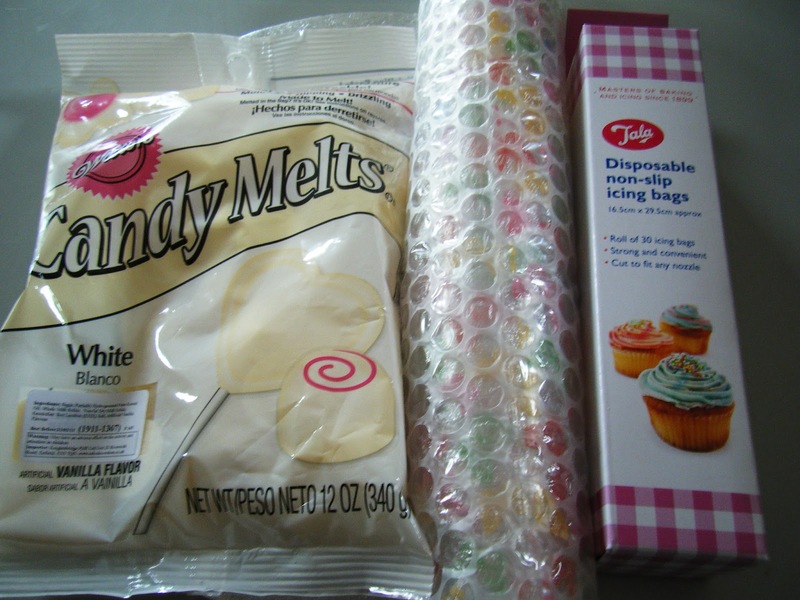 I also ordered piping bags, I was able to spread the chocolate with a pallet knife but they did come in handy for icing the bottom of the cake board. Cut the transfer paper to your desired size. 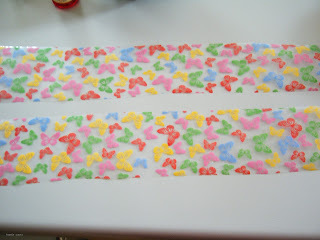 Melt the chocolate and spread it thinly across the transfer paper, spread the chocolate over the side with design on it. Spread the chocolate right over the edges to ensure the paper is fully covered. 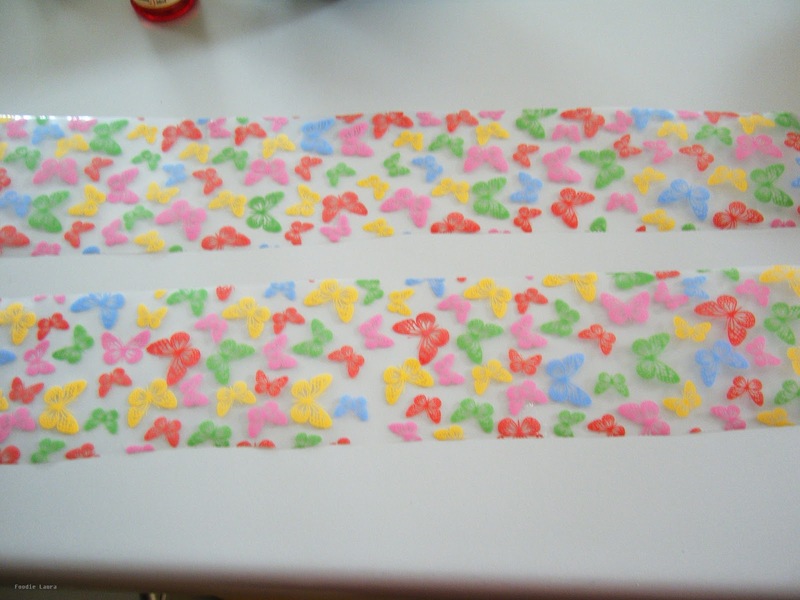 Move the paper to a clear surface to dry. To make curls you can put the tacky paper inside a glass to set make sure the wet side is facing inwards. when the chocolate has set turn the paper over and pull it away from the chocolate. The design will be set to the chocolate and you can now use it for decoration. *Craft Company provided their products for this review all views are my own.